Residential fires have caused thousand of deaths each year and over a billion dollars in property damages throughout the United States. Avoid the dangers of fires in your home by knowing the leading causes of how they occur. This article discusses the main cause of residential fires, how to prevent them and what to do if you experience any of these issues. When a pot or pan overheats or splatters greases, it can only take a matter of seconds to cause a fire. Make sure to stay in the kitchen to avoid these issues. It’s common for people to think they can step away for a moment but kitchen fires are actually the number one cause of severe home damages. According to the U.S. Fire Administration (USFA), almost 50% of fires are due to issues related to cooking. stay in the kitchen throughout the cooking process and be sure to turn off all kitchen equipment when you are finished. Also, be sure to keep materials such as towels and oven mitts away from the burners to avoid fires. This may seem a little obvious but it happens all too often that people leave their food unattended or get busy and set a cloth down right next to the burner. Sometimes it's difficult to remember that your heater systems need maintenance until a problem occurs. Most of the time the system just doesn't work but in more dangerous cases, faulty heating equipment can lead to deadly fires. Be sure to have your heating equipment inspected each year to avoid these risks as well as making sure you are cleaning your fireplace and chimney on a regular basis. According to USFA, portable heaters are also a main cause of residential fires, that also boost heating equipment to come in second at 12.9% of home fire related issues. To prevent severe health risks and even death, install a carbon monoxide alarm that alerts you to deadly carbon monoxide gas. According to Consumer Product Safety Commission, more than 150 people in the Unites States die every year from accidental non-fire related CO poisoning associated with consumer products, including generators. Too many outlets being occupied at once. If you overload on the equipment you plug in, it's possible for the outlets to overheat and quickly spark a fire. If the wires connected to your appliances have frayed or damaged components, a fire can easily start. the same can be said with damaged outlets. Running cords under mats, rugs or heavy equipment also contribute to residential fires. Also remember to consult with professional technicians to install electrical equipment to prevent fires caused by improper installation. Candles are a beautiful method of creating a warm and cozy ambiance. However, if you leave them unattended, even if you're just in the next room, they can easily fall and quickly spread fire to your CT home. According to National Fire Protection Association, from 2007-2011, there were an average of 10,630 fires in the U.S. that were started by candles, causing 115 deaths, 903 injuries and approximately $418 million in property damage. So the next time you are relaxing with candles around your home, make sure they are properly secure on a level surface. Furthermore, make sure to blow out all the candles before you leave the area. Typically, older homes have this issue but it's important for every homeowner to check their wiring to avoid possible dangers. Looking for problems like fuses that are constantly blown, dimming lights when you use multiple appliances and that you have to disconnect other appliances to use another one. Bad wiring can be difficult to spot but is actually the third leading cause of residential fires. According to USFA, electrical malfunctions have contributed to more than 6% of residential fires. First off, we hope you and your family all got out safely. We are here to help, and we've been helping homeowners and businesses recover from fire damage for years, with our priority focused on getting you back into your home or business as fast as possible. Unfortunately, the fire restoration process can be very detailed. The first task in the process is to clean up as much as the existing damaged area as possible; if the area is not cleaned right away, soot residue could lead to permanent damage. 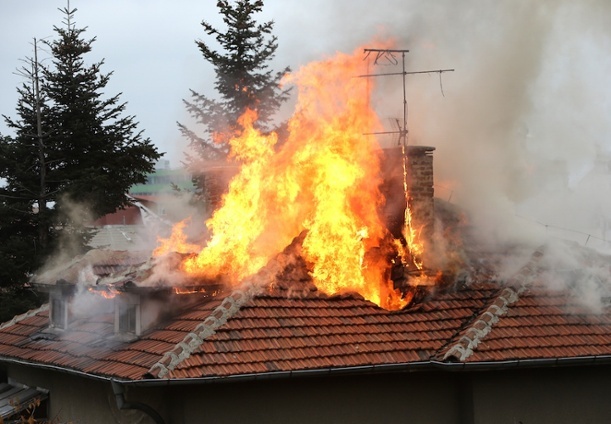 It is vital to contact a professional insurance restoration contractors for fire damage restoration. Professional companies have the knowledge to return your home or business to a pre-loss state. We help to educate you in the CT fire damage restoration process, as this helps to minimize the cost of repair.